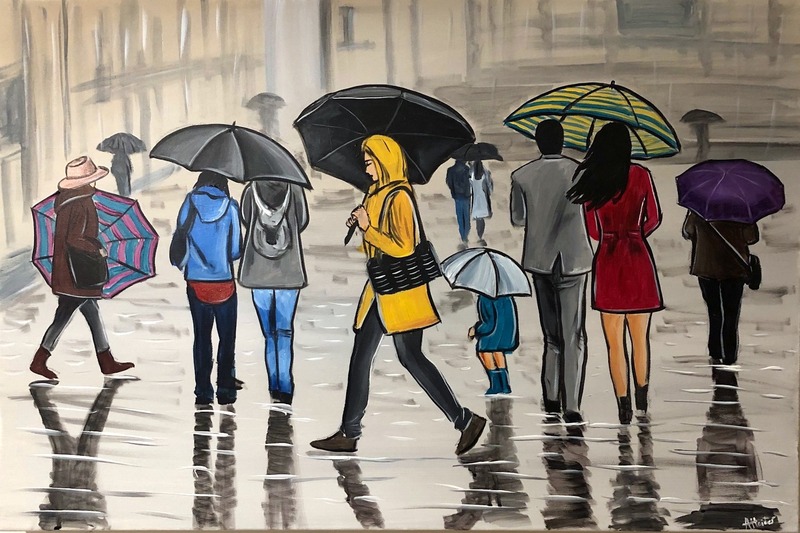 a modern and stunning painting capturing a raining day in the city which we are all too familiar with. Despite this people are going about their normal daily routines. This painting continues over the sides so it may be hung without the need for a frame. The painting has been varnished with gloss for protection and signed by the artist in the bottom corner. The canvas has been wired at the back for hanging and this painting will be carefully packed into a custom made box.